Sony came out of the gates swinging with a barrage of new games, sequels, trailers, and plenty of hints at what VR will be like with Playstation this October. While it was a dazzling display, the obvious fact that it was very impersonable struck a cord with some of our commentators. 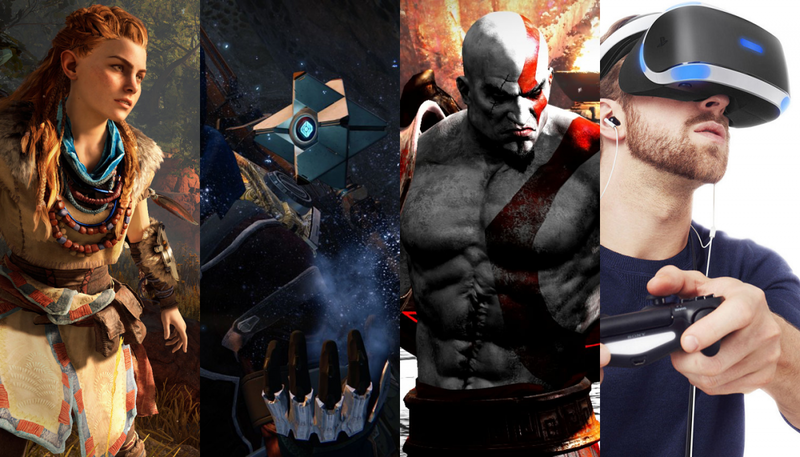 The All Games team assembles again to give its mixed take on the future of Playstation. Call of Duty is going someplace that no other World War II shooter franchise has gone before: modern day in a fictional Middle East country. The follow up to last year’s lackluster Call of Duty 3 (created by sibling developer Treyarch), Infinity Ward is back with its iteration to the franchise and suffice to say this game is impressive. Modern Warfare comes with a slew of tactical contemporary guns, a gripping new plotline, and easily the most gorgeous graphics I’ve ever seen. Look out Halo, you very well may have competition. From the first mission where you are literally dropped into, boarding and clearing a large freight liner in the middle of the ocean during a rainstorm, this game is faster and more covert. 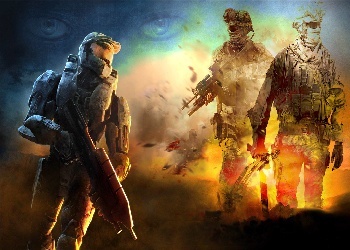 Previous titles in the series focused around being the hero in a clutter of large scale battles, whereas much of Modern Warfare deals with a covert black ops feel. The change comes with additional tools like night vision, a melee knife attack and a short-burst run that are all, quite frankly, badass. In addition the campaign feels more like a team effort, with each member chipping in to do their part. Mind you, the AI won’t beat the game for you, but I had several instances where a random enemy that jumped in front of me was popped off by a teammate. Modern Warfare also integrates interactive scripted moments that make you feel even more like a black ops team behind enemy lines. Along with the impressive new graphics comes events that not only outline the horrors of war but really immerse you into a realistic experience. Without spoiling anything, lets just say you’ll never guess what happens half way through the campaign. The difficulty has also been tweaked a bit, dividing each difficulty with a much larger gap; you will immediately notice that normal difficulty doesn’t feel as tough as it did in COD 2 or 3, but the jump to veteran (hardest) seems wider. Regardless of what difficulty you play it on, it does seem that this game is on par with previous titles in terms of difficulty.